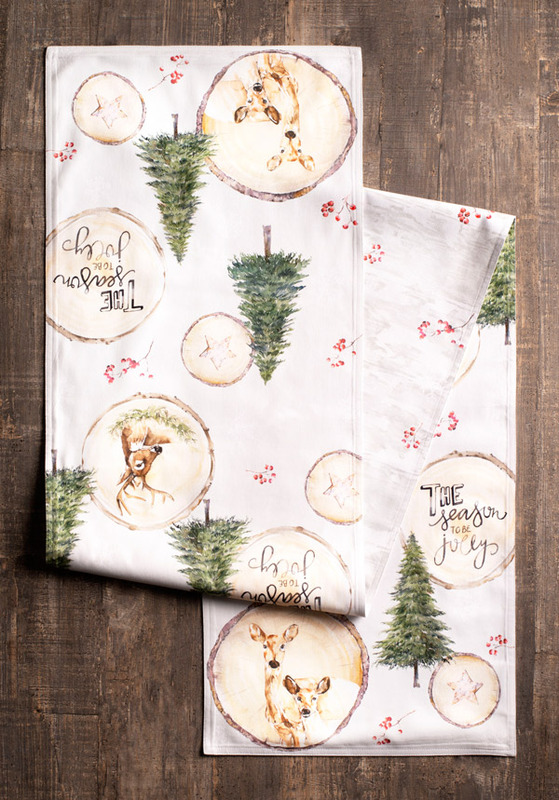 When it comes to creating a timeless holiday theme, you can’t go wrong with the reindeer, holly berries and a snow-laden forest in the foothills of a mountain. 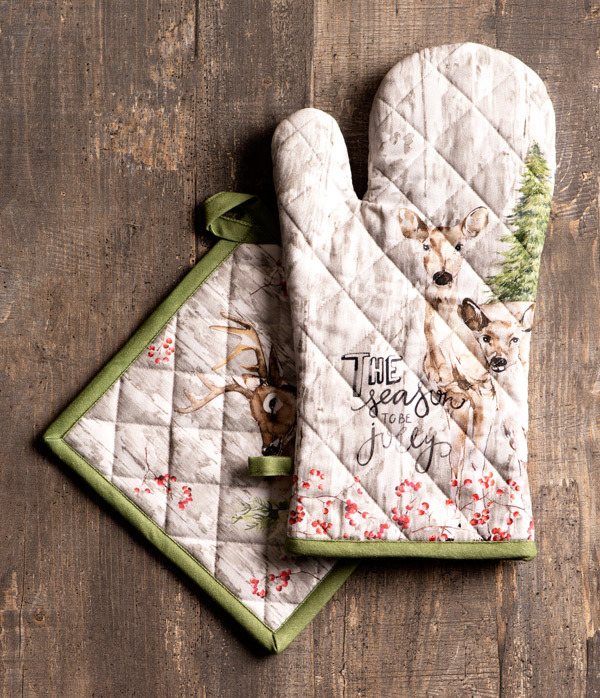 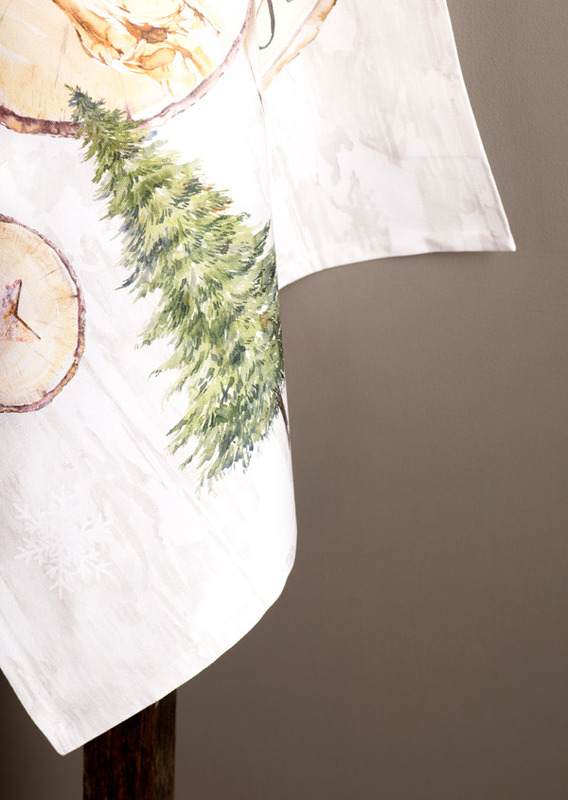 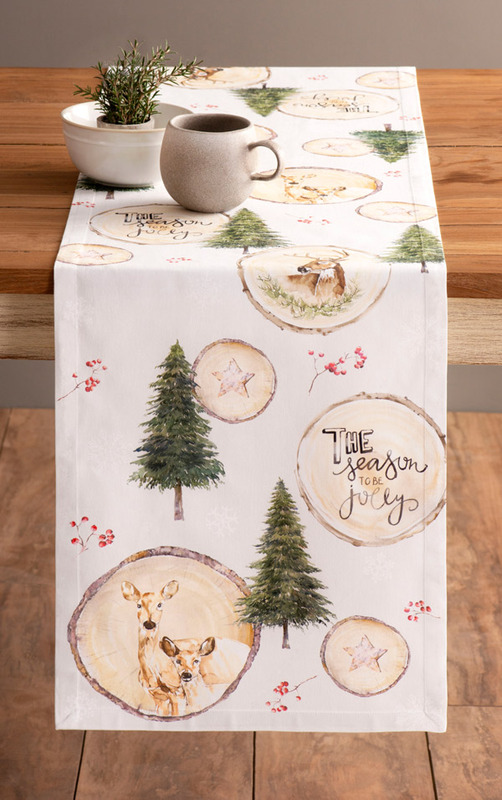 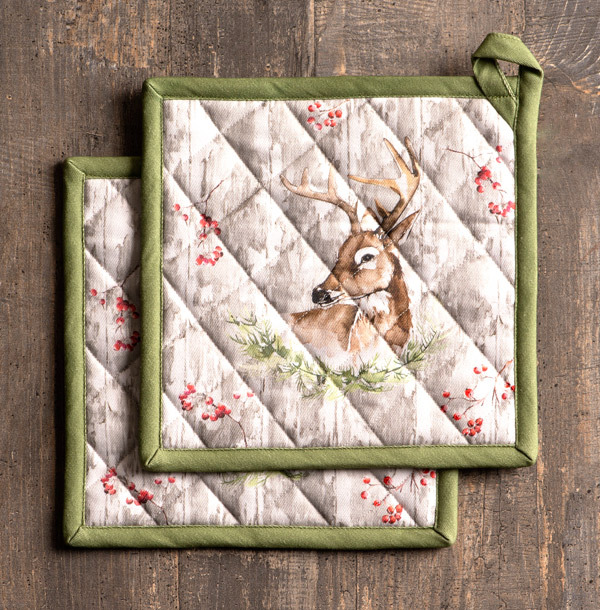 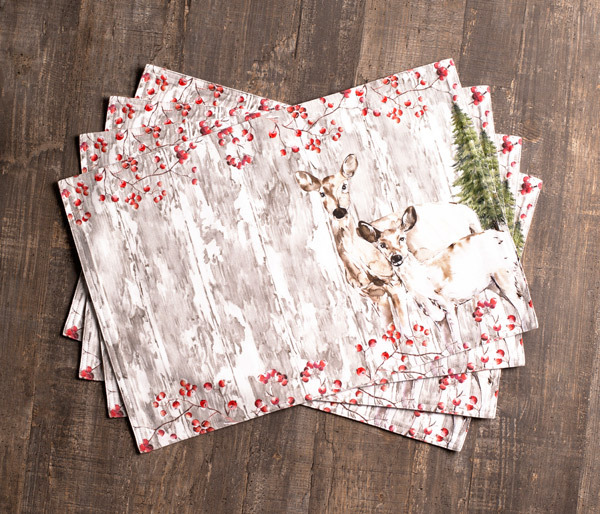 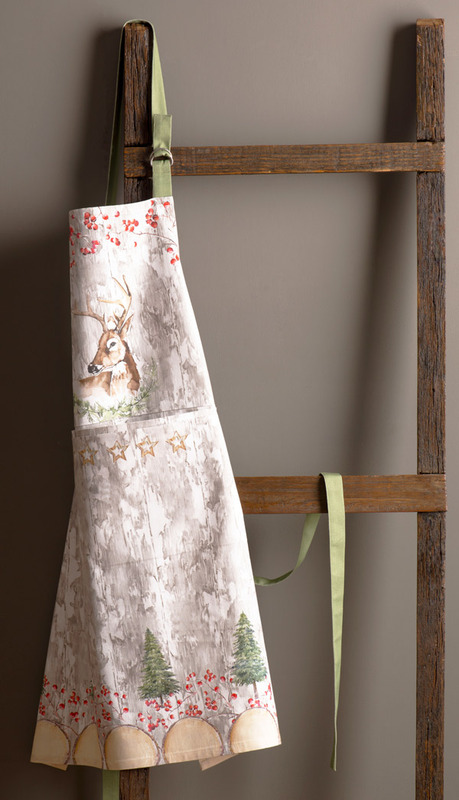 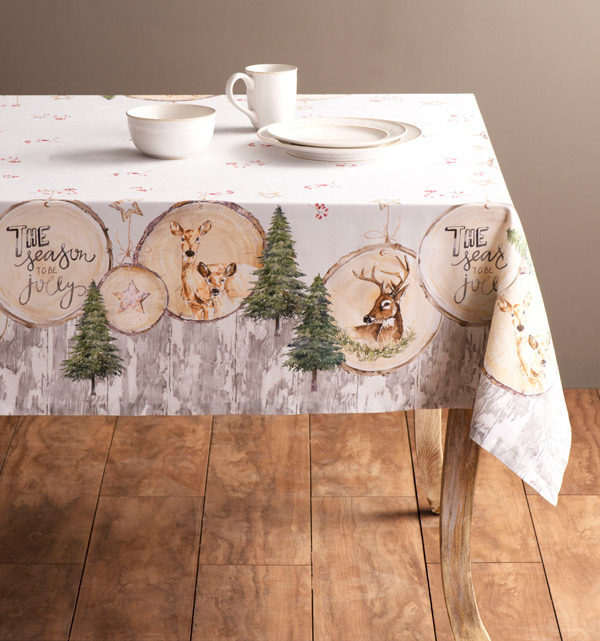 Exclusively designed with such seasonal elements in mind, our Mountain Life collection will take your kitchen and table decor to a whole new level. 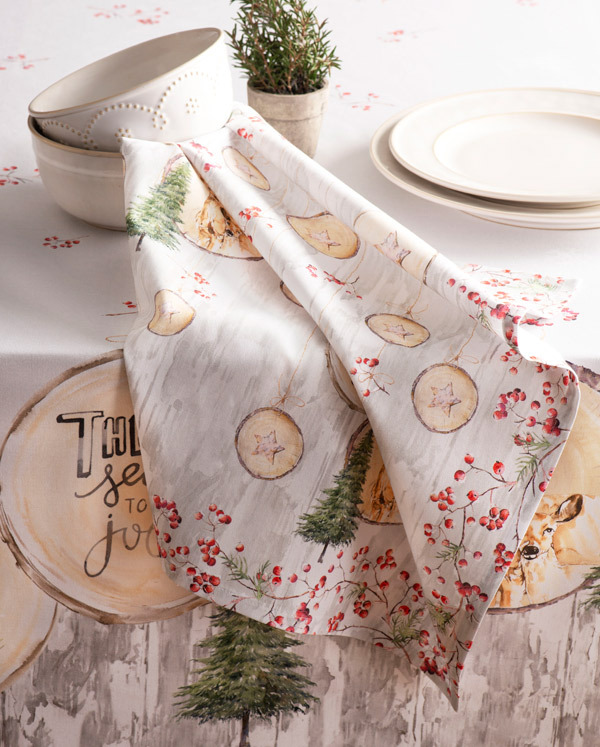 All the elements are decorated in natural colors and set against a neutral beige background. 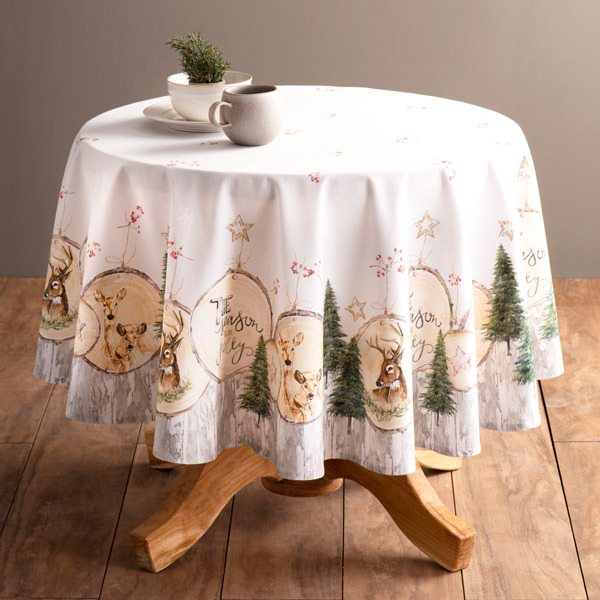 Perfect for Thanksgiving & Christmas, this is a lovely design that would make a perfect addition to your kitchen and table decor.